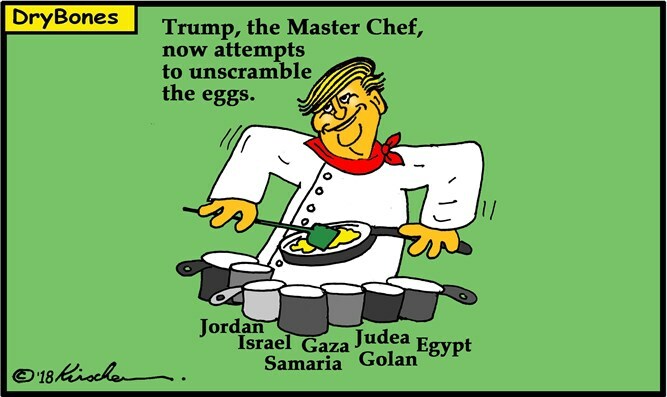 The US President has begun unscrambling the misinformation omelette cooked by the PLO at its founding and avidly swallowed by the UN and EU. President Trump has started unscrambling the misinformation omelette first cooked up by the Palestine Liberation Organisation (PLO) Charter in 1964 and dished out by the United Nations (UN) and European Union (EU) since 1974. Trump’s intention was revealed when the State Department released its annual “Country Reports on Human Rights Practices for 2017” (“Report”) - renaming its segment previously entitled “Israel and The Occupied Territories” with a new descriptor – “Israel, Golan Heights, West Bank, and Gaza”. Israel and the Golan Heights are dealt with together in one section of the Report – whilst the 'West Bank' and Gaza are covered in another. One comma strategically placed in the descriptor - “… West Bank, and Gaza” – identifies them as two separate territorial entities that could involve different solutions. 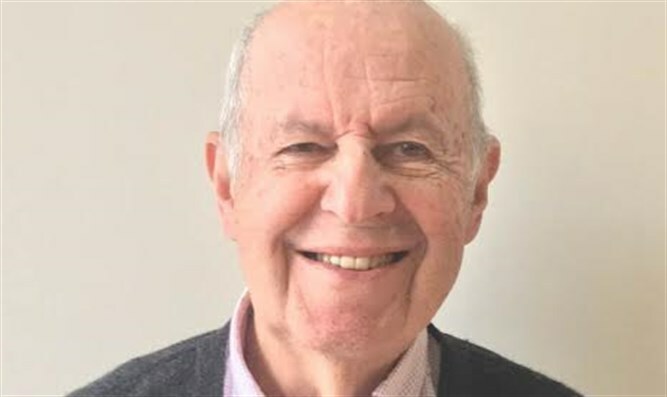 The Report’s new choice of language signals that resolving the Arab-Jewish conflict extends beyond the 'West Bank' and Gaza to also include the Golan Heights and that any end to the conflict will only eventuate with the recognition of sovereignty in all three of these disputed areas. Affirmation of the right of the Jewish People to close settlement on land in Judea and Samaria ('West Bank') to reconstitute the Jewish National Home in Palestine under the rights vested in them by article 6 of the 1922 League of Nations Mandate for Palestine (the 1922 Mandate) – as preserved by article 80 of the United Nations Charter. Ending the fiction that the territory of former Palestine stopped at the Jordan River and agreeing that it included the Hashemite Kingdom of TransJordan – 78% of the territory comprised in the 1922 Mandate - which was granted independence by Great Britain in 1946 and subsequently renamed Jordan in 1950. Agreement that Security Council Resolution 242 does not require Israel’s total withdrawal from Judea and Samaria ('West Bank'). in dumping the use of the nomenclature “The Occupied Territories” – Trump has taken one giant step towards ending the...dishonest semantic warfare waged by the PLO, UN and EU. Cracking heads by getting all interested parties to adopt an agreed narrative using terms with agreed meanings is crucial in any communications and negotiations between them - if Trump’s long-awaited “ultimate deal” is to not be still born.